A tiny, vibrating surgical tool, very possibly one of the most counterintuitive medical devices to emerge in recent years, has helped heighten surgeons’ sensitivity to shapes and textures — and may enable them to sense a patient’s internal tissues and tumors during operations. During many surgical procedures, surgeons use slim, metal tools, which help minimize invasiveness but inhibit their ability to “feel” their way through the operation. 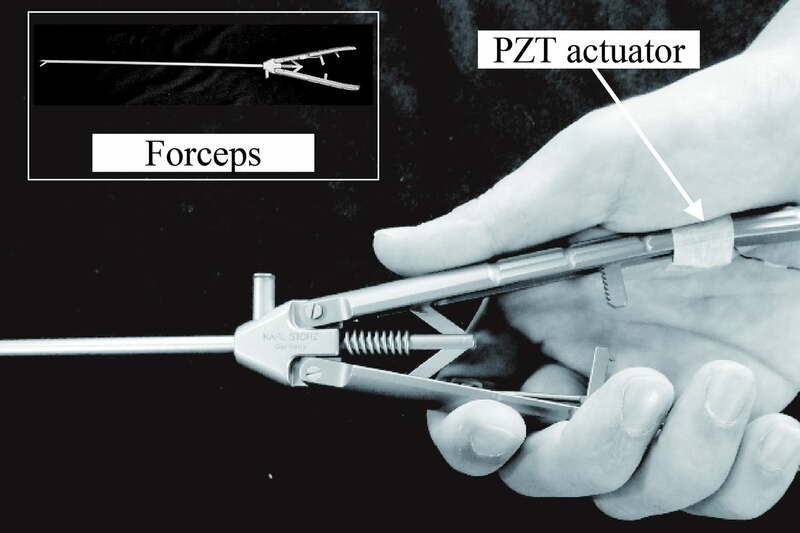 The PZT Actuator, developed by engineers from Hiroshima University in Japan, attaches to the handle of surgical tools and vibrates imperceptibly against the surgeon’s palm, gently delivering detailed information about internal tissue and organs. Dr. Yuichi Kurita, the lead researcher, told Digital Trends his venture into the technology was inspired by a visit to the Georgia Institute of Technology, where he realized that surgeons often lacked that tactile connection to the bodies they operate on. “After I joined Hiroshima University, I had an idea to apply this to improve the operations during minimally invasive surgery … and talked to research collaborators in the Institute of Biomedical Sciences, Hiroshima University,” he said. Kurita presented the first findings from his research to an international conference three years ago. Fast forward to 2016 and Kurita and his team have taken the PZT Actuator a few steps further. To test the device, researchers blindfolded volunteers and had them use a tool equipped with the PZT Actuator to identify various textures of sandpaper and to locate a Styrofoam ball within a silicone-filled cup. According to the researchers, this test is like pinpointing a solid tumor within human tissue. There’s still some work to be done before the device is ready to hit the operating table. For one, Kurita says true surgical trials on actual or simulated tissue would be required to make the device more precise.